The iPhone is a popular smartphone and this popularity has encouraged many companies to produce a wide array of third-party iPhone accessories. The massive accessory market is great for consumers because it drives innovation and quality to new heights. While Apple is advancing the iPhone's durability with each new release, putting a case on your iPhone is almost never a bad idea. There are plenty of protective case styles that offer iPhone owners different features and levels of protection. Tech21 is a British company that has been making top-tier cases for a long time. While they may not have the brand recognition that other companies have, they have been winning awards for their Evo Series cases for years. The Evo cases are the perfect mix between protection and form. One of the most popular models from the Evo series is the Evo Mesh. This case offers great protection against regular drops and accidents, but doesn't provide protection against heavy-duty impacts or liquid. Depending on what model of iPhone you have, the Tech21 Evo Mesh will cost around $20 to $30 from Amazon and $39.95 at an Apple Store. 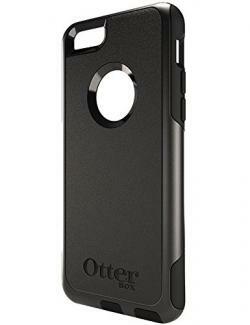 OtterBox is the leading name in phone cases. Just because they are the most popular doesn't mean they've stopped creating new and exciting products. They recently won an award for outstanding innovation for the technology they put into their new Defender and Commuter series cases. The Defender series offers 3-layer protection for iPhones that will be taking a beating, and the Commuter series has 2-layer protection that keeps the case relatively slimmer than the Defender series while still offering great protection. The Commuter series cases start at $18, and the Defender series cases start at $25. You can buy these cases at Target and most stores that sell phone cases. Phone-wallet combo cases have been popular for years. It's convenient to keep everything together and these cases offer decent protection when an iPhone is dropped. Pad and Quill have applied hand-crafted American leather perfection to their wallet cases. If you want a fine product that will last, definitely check out Pad and Quill Luxury Book Case. It even made it on Digital Trend's top luxury iPhone cases. The Luxury Book case for the iPhone 7 costs $99.95 and can be purchased from their website. These cases come in a variety of colors and are available for most iPhone models. iPhones are more than just phones; they are all-in-one media players. This means a good set of headphones with a built-in microphone is a worthwhile investment, especially since many states have hands-free cell phone laws while driving. Some people prefer the simplicity of a wired headset while others like the convenience of Bluetooth. It's always important to weight the features and benefits of each style before purchasing. These Bluetooth earbuds are small, durable, and have great sound quality. They are the best-selling Bluetooth earbuds on Amazon, and offer plenty of features. In addition to great sound quality, these earbuds offer water/sweat resistance, passive noise cancelling, and call/music playback control. These are great headphones that you can use every day whether you are working in the office or out training for a marathon. While you might expect to pay nearly $200 for such high-quality headphones, the Senso Bluetooth Earbuds are available on Amazon for just $37. 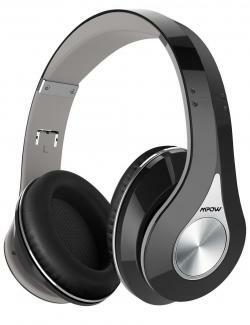 The Mpow M3 over-ear headphones are great for anyone who's going to be wearing headphones for an extended period. With a comfortable, over-ear design, the M3 ear pieces surround your ear and conform to the side of your head, making sure your ears aren't getting squashed while listening. Beyond comfort, these headphones offer top-notch sound quality via 40 mm drivers, Bluetooth connection up to 33 feet, built-in microphone for taking calls, and a 13 hour battery life. While 13 hours of battery life is impressive, the M3 headphones can also be used as wired headphones simply by plugging the included aux cable into them. The M3 headphones only cost $37 and can be purchased directly from the Mpow website. If you are looking for a decent pair of wired earbuds that allow you to listen to music, take calls, and control volume, the Apple Earpods may be your best choice. These headphones get overlooked because they come with the phone, so it's often assumed that they are low quality. However, they recently topped MacWorld's list of best Lightning earbuds. If you haven't used these headphones in a while, give them another chance. You will likely be surprised by their sound quality. Apple Earpods also have a high-quality microphone for calls and buttons for controlling volume/playback. The best thing about these headphones is that you already have them if you bought your iPhone new. Additionally, the warranty that covers your iPhone also covers these headphones. This means if your Earpods break or stop functioning, you can take them to the Genius Bar and get them replaced for free if they are still under warranty. You can also purchase new Earpods from Apple for $29. The iPhone's touchscreen is prone to scratches or cracks when it is dropped. That is why many people invest in dedicated screen protectors. What started out as a single line of award-winning screen protectors has now grown into four different families of screen guards from Zagg. 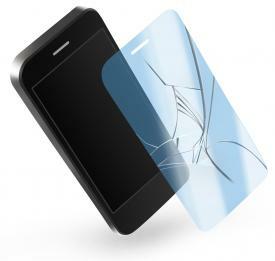 The original InvisibleShield model is self-healing, while the smudge-proof models are designed to reduce the appearance of fingerprints and oils. The most popular choice is the high-definition model for advanced clarity and a glass-like surface. The premium extreme line provides ultimate protection. All Zagg InvisibleShield screen guards are made in the USA and come with a lifetime guarantee. They can be purchased directly from Zagg, starting at $14.99 each. Boasting a stellar four-star rating on Amazon with over 1,000 customer reviews, the MediaDevil Magicscreen is one of the highest rated screen protectors on Amazon. It is easy to apply, can be easily removed and re-applied, and will protect the iPhone against scratches while leaving no markings behind when it's removed. Customers can choose from the invisible Crystal Clear version, the anti-glare Matte Clear version, or the Privacy edition. Pricing starts at $9.97 for a two-pack of front screen protectors. Consistently rated as one of the best premium screen protectors for the iPhone, the GLAS.tR Slim series from Spigen SGP is fundamentally different in that it is not a plastic film. Instead, this screen guard is made from real tempered glass and it comes with an oleophobic coating that helps reduce fingerprints and smudges. It is completely transparent and very resistant to scratches. It also features an anti-shatter film. If that weren't enough, the edges of the tempered glass are rounded so your fingers will barely feel the extra layer. Finally, it is also compatible with 3D touch on the new iPhones. The GLAS.tR is available for $25 from Spigen's website. Between having a high-resolution Retina display, GPS, Wi-Fi, 4G LTE, and an array of other features, the iPhone has plenty of ways to spend battery power. Luckily, there are many accessories that keep your iPhone sufficiently charged, no matter what you put it through. Cables can be a major source of frustration for iPhone owners. Sometimes they don't last as long as expected. Most of the time, this is due to crimping or fraying from bending the cable at extreme angles. Unfortunately, it's very difficult to take the extra care required to keep the Apple-branded Lightning cables in tip-top shape forever. However, this is where the Anker Powerline+ Lightning cable steps in. It received Lifewire's top award for durability and is available on Anker's website for the reasonable price of $20 for a 10-foot cable. The Nifty Mobile Charger lives up to its name. This battery pack holds a respectable 6,800 mAh of power, has two ports, USB-C and USB-A compatibility, can charge two devices simultaneously, and shows you how much power is left in the pack just by tapping on it. It takes between two and three hours to charge fully and weighs a mere 5.5 oz. With all of these features, it's no wonder that it was named the best portable phone charger by Digital Trends. 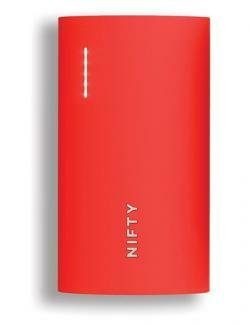 The Nifty Mobile Charger runs $80 and is available from the Nifty website. Not all power adapters are created equal. Some cheap brands of power adapters can harm phones and even pose a danger to the user. In 2013, Apple instituted a USB Power Adapter Tradeback Program where customers could trade in potentially dangerous non-Apple power adapters for official Apple power adapters. Ranked as one of the top selling Apple accessories, the compact Apple USB power adapter plugs directly into the wall to power a USB port that can charge iPods, iPads and iPhones. It is simple, and it works well. The 5W adapter retails for $21.00 through Apple.com. There are tons of iPhone accessories out in the market and more are showing up every day. These notable accessories can help capture memories, make life easier, and keep the party going. Many iPhone users don't own a separate digital camera. Their iPhone is the main device used to capture, store, and share memories. Why not make sure those memories are captured in the best light possible? External camera lenses can turn your iPhone from the camera you use into the camera you love. Most external lenses attach to the iPhone and enhance the existing lens. Due to the subjectivity of photographs and the many ways we take pictures, there isn't necessarily a "best" lens, but there are plenty of options ranging from $50 all the way up $400. Tech Radar put together a top-notch list of lenses that can transform your iPhone and there is something for everyone included on the list. Ultimate Ears is known for making great-sounding, waterproof, and shockproof Bluetooth speakers, and the UE MEGABOOM is no exception. MEGABOOM Bluetooth speakers can connect to each other or "daisy-chain." You can wirelessly connect over 150 of these speakers, which means you can spread the dance floor out over the entire house. Each speaker has great sound quality and disperses sound 360 degrees around the speaker, so no matter where you are, it's going to sound great. UE also has an app for iOS that allows users to queue up songs on the party playlist from their device. As long as you have the app downloaded, you can play DJ and put your song up next. 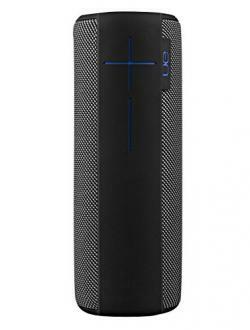 You can purchase a UE MEGABOOM from Best Buy for $299. Who says being responsible can't be fun? The Trak Smart Finder is a tiny tracker you can place on your keys, wallet, or anything else you have trouble keeping track of. The tracker connects to your phone via Bluetooth and can be activated from the Trak app. When a tracker is activated, it sounds out audible beeps as long as it is within Bluetooth range (~30 feet). The fun aspect of the Trak Smart Finder is the button on each tracker that functions as a selfie remote. No longer do you have to squeeze your iPhone to press the volume buttons or stretch your thumb to hit the on-screen shutter button. Simply press the small button on the tracker and take the perfect selfie! You can purchase the Trak Smart Finder for $40. The Apple iPhone is a powerful device and serves many purposes. Pairing it with awesome accessories maximizes the iPhone's potential and enhances the experience of owning one of these amazing devices.